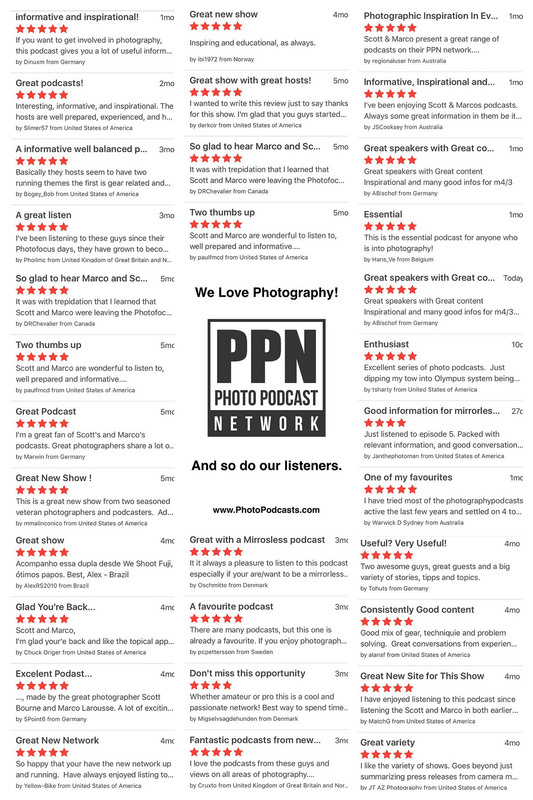 We have started the "PPN - Photo Podcast Network"
I've been producing podcasts about photography for the past four years. 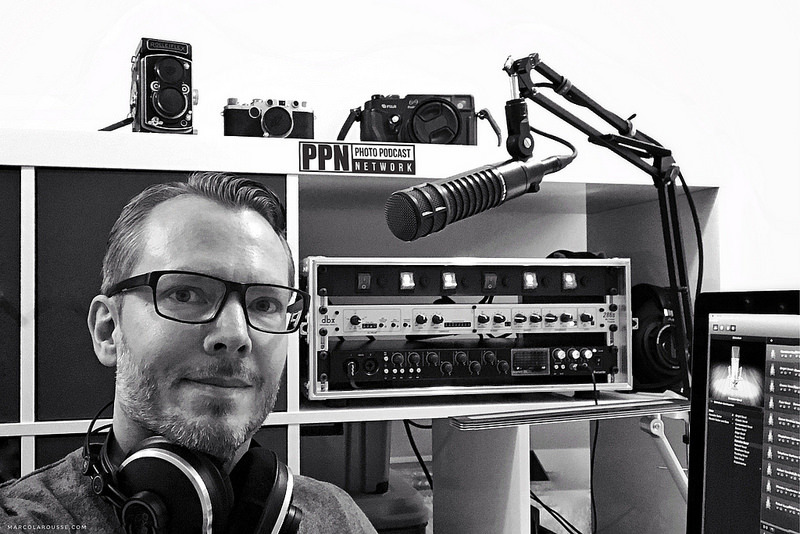 And after more than a million show downloads and a thorough review of the listener feedback, I have teamed up with Scott Bourne and founded PPN - Photo Podcast Network. 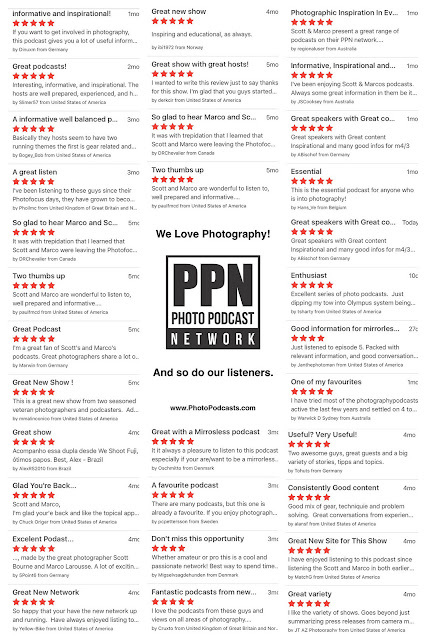 We produce four different photography shows each month and put them all into one free and simple to subscribe to feed for our listeners to download, listen online or subscribe to on your favorite podcatcher app. The title says it all. This show is about mirrorless photography from all different brands. As long as it does not have a mirror, we'll be talking about it. We cover news, opinions, and experiences from the world of mirrorless photography. And we sometimes have interesting interview guests sharing their mirrorless story, too. We get lot's of interesting questions regarding all different topics in photography and we answer them on this show. Feel free to drop us your photography related question through our contact form. And maybe we'll be answering your question on the next show? On this show, we cover a particular style of photography gear, how to use it and how to pick it for the right purpose. Think of it as a special show on i.e. camera bags, teleconverters, tripods, lenses etc. This show is mainly about what moves us to pick up a camera and the importance of photography from the past to the present and future. We cover creativity and vision as well as some tips and tricks on how to grow as a photographer. On each episode, we also introduce you to an inspirational photographer of the month and share and inspirational photo book of the month with you. If you are serious about creating images with your camera and love photography, you should not miss this show! Fuji X100S Review - Is it worth to upgrade from the classic X100? How good is the Fuji XF 35mm f1.4 R lens? Copyright content: MarcoLarousse.com - This is a private blog and it's not associated with Fujifilm. Awesome Inc. theme. Powered by Blogger.